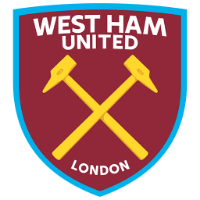 Follow live West Ham vs Tottenham online from London Stadium. Live score updates of the Premier League match held at the London Stadium. West Ham vs Tottenham live kick-off is set for 3:00pm BST. Keep following along for live updates from VAVEL UK. West Ham: (4-2-3-1): Lukasz Fabianski; Aaron Cresswell, Fabian Balbuena, Issa Diop, Pablo Zabaleta; Mark Noble, Declan Rice; Felipe Anderson, Robert Snodgrass, Andriy Yarmolenko; Marko Arnautovic. Tottenham Hotspur FC: (4-3-3): Hugo Lloris; Ben Davies, Davinson Sanchez, Toby Alderweireld, Kieran Trippier; Harry Winks, Eric Dier, Moussa Sissoko; Lucas Moura, Harry Kane, Erik Lamela. SCORE: 0-1, min. 44. Lamela. Thank you for following along, I've been Jakub Bobro and be sure to check out other content on VAVEL and follow our LIVE for the upcoming match between Huddersfield and Liverpool. Full time! Tottenham win 1-0 after one of their more convincing performances of the season, but West Ham had their London rivals worrying for a result until the final whistle. Tottenham now sit in 3rd place, two points behind the leaders Manchester City, but Liverpool and Arsenal have a game in hand. West Ham stay in 15th. 94' Free kick given against Llorente deep in West Ham's half, Fabianski plays it, ball bounces to Rice, pass to Antonio whose powerful shot goes over the bar. Lloris plays the goal kick and the whistle is blown thrice. Tottenham win! 93' Lloris jumps higher than all others and claims it, a rather poor corner. 92' Free kick played in to Balbuena by Cresswell. Cleared, but West Ham hold on to possession. Another corner for West Ham. 91' Arnautovic comes through on goal and Lloris pulls out a good quick save to turn it away for a corner. 89' Christian Eriksen replaces Moussa Sissoko in the final minute before stoppage time. The entire pitch is now covered in the aforementioned claret smoke as if a sepia filter was put on the camera. Four added minutes. 88' Spurs almost double their lead shrouded in claret smoke. Moura squared the ball across the box, Llorente gets a shot away over the bar. 87' West Ham fans launched claret smoke bombs after Hernandez's goal before it was whistled off for offside. 86' Fernando Llorente comes in for Harry Kane to see this game out. 85' Moura wins the ball decides to keep possession for a second, but they lose the ball as Tottenham keep eight men back. A lovely one-two between Hernandez and Arnautovic, Chicharito finished past Lloris but Arnautovic was offside. 83' Diop stifles a potential counter-attack from Kane, continues to have a great game and continues West Ham's spell of possession the opposition's half. 80' Tottenham have struggled to break down West Ham in these last few minutes, Lucas wins a corner. Snodgrass is booked for a tackle on Sissoko. Fabianski claims the corner and sends West Ham forward right away. 77' Dembele utilized right away as he has to chase down Antonio after Dier's mistake. 76' The first substitution for Tottenham is a defensive one, Lamela goes off for Mousa Dembele. 74' Kane wins a foul with good hold-up play in the middle of the pitch, Trippier's free kick is too long for Alderweireld to get to. 73' Arnautovic slides in on Trippier, picks up a yellow. 72' Mark Noble comes off for Michail Antonio as West Ham make their final substitution before Tottenham have even made their first. This is Antonio's 100th appearance for the club. 71' Snodgrass wins a corner against Trippier, the Hammers definitely looking the better side in this second half so far. Snodgrass' corner finds Diop whose header goes over the bar. 70' West Ham ask for a penalty after Winks' challenge on Diangana, not given by the referee. 68' Spurs play the ball out of play for Chicharito who took his time to get back up. 66' Noble plays a free kick to Balbuena, who knocks it down for Arnautovic with a header, Arnautovic slices the ball with a left-footed volley over the bar. 64' Winks wins a corner as his pass to Kane is cleared by Diop. Trippier plays it short to Lamela, who plays it back right away. Sanchez gets a free header, but he was offside. 62' Arnautovic gets into a pushing match with Sanchez, getting under his skin, the crowd becoming louder and louder. Moura charges into the box, but Diop comes up with a great slide tackle to win the ball, a great game by the young Frenchman. 60' Ball bounces to Arnautovic after a free kick, a shot to the bottom right corner saved by Lloris. Balbuena gets a header on the subsequent corner, but wide. 59' A tactical foul on Lamela earns Mark Noble the first booking of this match. 58' Snodgrass wins a corner from Sanchez, he finds Balbuena but the ball bounces awkwardly off his body. 57' Felipe Anderson comes off for Javier Hernandez, likely a change in formation to a 4-4-2 with Snodgrass coming out the left. 54' Lucas Moura now seems to be in a great deal of discomfort after making contact with Snodgrass. 51' Kane goes for a one-two with Lamela but can't produce anything out of that 3-on-3 situation. 49' Lucas bails Tottenham out, getting past four men, passes out wide to Lamela whose pass in for Kane was blocked. 48' A rocket start to the second half from the Hammers. Cresswell loops in a cross, Arnautovic heads the ball and Lloris produces a great save on the full stretch. 46' And the second half begins with a kick-off by Arnautovic, no halftime changes. Halftime! Tottenham have been the better, more controlling team, but West Ham seem really affected by Yarmolenko's injury, conceding a goal to Lamela and almost getting a second one right away. 47' Lamela's half-shot, half-cross cleared, but Tottenham win it back. Lamela runs through, takes a shot, parried by Fabianski to Sanchez, whose weaker-foot shot only hits Fabianski again. The Polish goalkeeper keeps West Ham in this game. 45' Three added minutes and Lamela wins a free kick on the edge of the penalty box on the goalkeeper's left side. GOAL! Sissoko gets in behind Anderson, crosses in with his left and Lamela heads it in. An unexpected moment of brilliance from Sissoko and Tottenham lead 1-0. 44' Lamela plays through Moura, but the Brazilian decided to cut back onto his right and Spurs lose the 3-on-3. 42' Tottenham get forward quite well, but once the ball is in the box, West Ham have too many men back to be able to come up with something and lost the ball. 39' London Stadium falls silent as Yarmolenko seems to have suffered an achilles injury, quite terrible to see. As West Ham's medics are taking Yarmolenko away on a stretcher, Tottenham's medics are trying to patch up Zabaleta. 20-year-old Grady Diangana replaces Yarmolenko, quite surprisingly ahead of Michail Antonio. 37' Cresswell played Yarmolenko through down the left, who played it back to Snodgrass on the edge of the box, deflected by Alderweireld. 36' Trippier's corner is claimed by Fabianski, Lamela gets a whistle against him for a foul on Rice. 35' Trippier plays in the free kick, cleared but only to Lamela who doesn't get enough space to get his shot through West Ham's defence. 32' Lamela gets one-on-one with Diop, beats him the first time, but then has to go back, passes to Trippier whose cross is claimed by Fabianski. 30' Lucas runs in, doesn't pass through Diop and doesn't get the foul he is asking for. 27' Kane charges into the box, his shot blocked as the fans have a minute of silence. 24' Kane takes a long shot, deflected wide for a corner. Played short for Davies, who crosses it in to Winks, whose shot is deflected for another corner, which is headed over by Alderweireld. 23' Anderson delivers another corner, but does not threaten the Tottenham goal. 20' Dier foul and West Ham get a free kick, Arnautovic receives the ball from Snodgrass on the far post as it passed through the area, but terribly mishits his cross. 19' Cross from Trippier cleared as Kane was looking for it on the far post. West Ham turn the ball over, but Sanchez clears for a throw-in. 18' Zabaleta is back on. 16' West Ham are down to ten men temporarily as Zabaleta needs to get his bleeding eyebrow patched up after an aerial with Lucas. 15' Following corners were not utilized by West Ham, the first one turned aside for a second corner, and the second cleared, almost allowing Lucas to counter. 13' Noble almost caught Alderweireld out as he tried to play through Arnautovic, but the centre-half realized what was going on, slid in, got a touch on the ball. Yarmolenko crosses in, cleared for a corner by Trippier. 12' Lamela plays Winks in who takes a volley shot, but he was offside. 10' A good chance for Tottenham, Lucas out wide played it to the edge of the box to Sissoko, whose shot was deflected for a corner. Fabianski punches out the subsequent corner. 9' Lamela tried to play Trippier through but Fabianski smells the danger and comes out to claim it. 6' Lucas Moura fouls Mark Noble after a throw-in, the first foul of the match. 4' Yarmolenko plays Arnautovic in, the Austrian gets the first shot on target of this game, a save by Lloris. 3' Lamela receives a ball out wide from Kane, runs with it against two defenders, but his shot only hit the side netting. 2' Lucas was looking for a way to break into the box, but Zabaleta ensured that not happening. We are now just minutes away from kick-off! Tottenham are still missing the likes of Dele Alli, Jan Vertonghen, Danny Rose, and Victor Wanyama; with the Hammers' Jack Wilshere, Carlos Sanchez, Manuel Lanzini, and Winston Reid out. Pochettino definitely set this lineup keeping the midweek match against PSV Eindhoven in the Champions League. Eriksen and Dembele are back in the squad, but benched, as is Heung-Min Son. The only change from Tottenham's 1-0 win is Lamela in for Son, possibly a change in formation too. The fans, however, must be disappointed to see Sissoko start another game, especially with Eriksen and Dembele on the bench. One can only assume that they are not fully fit. Tottenham XI: (4-3-3): Hugo Lloris; Ben Davies, Davinson Sanchez, Toby Alderweireld, Kieran Trippier; Harry Winks, Eric Dier, Moussa Sissoko; Lucas Moura, Harry Kane, Erik Lamela. Two changes and a shift in formation by Pellegrini, with Cresswell and Snodgrass coming in for Masuaku and Obiang. It is yet to be seen how West Ham actually line up as they seem to have fielded three wingers in Anderson, Snodgrass, and Yarmolenko. West Ham XI: (4-2-3-1): Lukasz Fabianski; Aaron Cresswell, Fabian Balbuena, Issa Diop, Pablo Zabaleta; Mark Noble, Declan Rice; Felipe Anderson, Robert Snodgrass, Andriy Yarmolenko; Marko Arnautovic. Kick-off is at 3:00 pm, so the team news will be released at 2:00 pm. Be sure to stick with VAVEL UK until then. Tottenham's predicted XI: (4-2-3-1): Hugo Lloris; Danny Rose, Davinson Sanchez, Toby Alderweireld, Kieran Trippier; Eric Dier, Harry Winks; Lucas Moura, Christian Eriksen, Heung-Min Son; Harry Kane. Dembele is available, but will likely be rested for the Champions League midweek fixture as well as Erik Lamela. West Ham's predicted XI: (4-3-3): Lukasz Fabianski; Arthur Masuaku, Issa Diop, Fabian Balbuena, Pablo Zabaleta; Pedro Obiang, Declan Rice, Mark Noble; Felipe Anderson, Marko Arnautovic, Andriy Yarmolenko. Hernandez is back from injury, but will likely start on the bench. 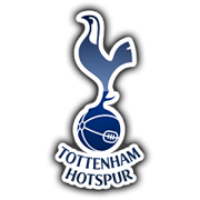 West Ham and Tottenham do have a rivalry; however, it is quite lopsided as Tottenham sit in fifth and West Ham in fifteenth. The two London teams have faced each other 209 times since 1898, Tottenham winning 94 of those. Last season, West Ham and Tottenham faced each other three times, a Carabao Cup tie added to the home and away ones of the Premier League. Tottenham won 3-2 away in September, but West Ham paid them back by eliminating them 3-2 in the Carabao Cup. The third match was a 1-1 draw at Wembley. Pellegrini is enjoying some returns to fitness, namely from Javier Hernandez, Robert Snodgrass, and Arthur Masuaku, who should all be available for the derby against Tottenham. However, West Ham have some of their best players out for the long-term, with Jack Wilshere out for six weeks with an ankle injury, and both Manuel Lanzini and Winston Reid likely out for the rest of 2018 with knee surgeries. West Ham had a rough start to the season, not getting their first points until Gameweek 4 when they beat Everton 3-1. That win has been a turning point in West Ham's season and probably saved Manuel Pellegrini's job. West Ham followed up with a solid 0-0 against Chelsea and then got a 3-1 win over Manchester United. The form sort of fizzled out at the Amex Stadium, where Brighton were victorious 1-0, but West Ham will be looking to bounce back. Despite getting clean sheets in their last two Premier League games, Spurs did not look convincingly in their wins over Huddersfield and Cardiff. The defence looked a little shaky at times and the attacking threat was not fulfilling its potential. Pochettino will be hoping to turn things around with Eriksen back, masterminding the midfield. Tottenham players make up a big part of the English National Team, with Harry Kane, Kieran Trippier, and Eric Dier getting regular starts and Harry Winks seeing some action this international break as well. England impressed with a 3-2 win over Spain in Seville, with Kane assisting twice. Tottenham have had some struggles this season, first their lack of activity in the summer transfer window, and now Pochettino's side has been struck down with injuries. Though Tottenham will have Christian Eriksen and Mousa Dembele available, they are still missing Dele Alli, Jan Vertonghen, and Danny Rose. Despite all that, Spurs still have had their best start to a season in Premier League history. 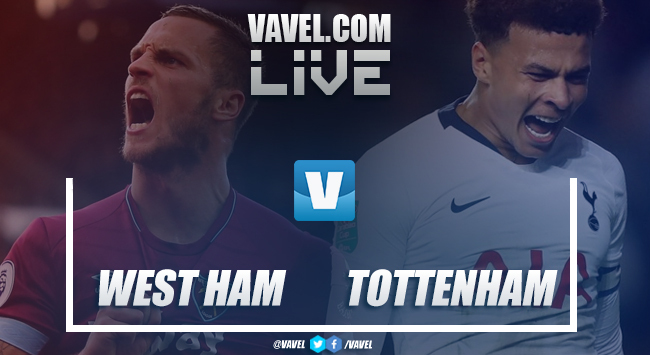 Hello and welcome to VAVEL UK live text commentary of this weekend's Premier League fixture between West Ham United and Tottenham Hotspur, hosted by Jakub Bobro. This is the place to make sure you stay up-to-date with all news relevant to Saturday's game; including team news, manager quotes, and statistics.